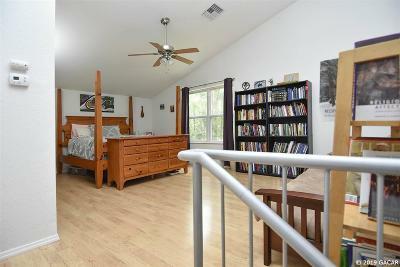 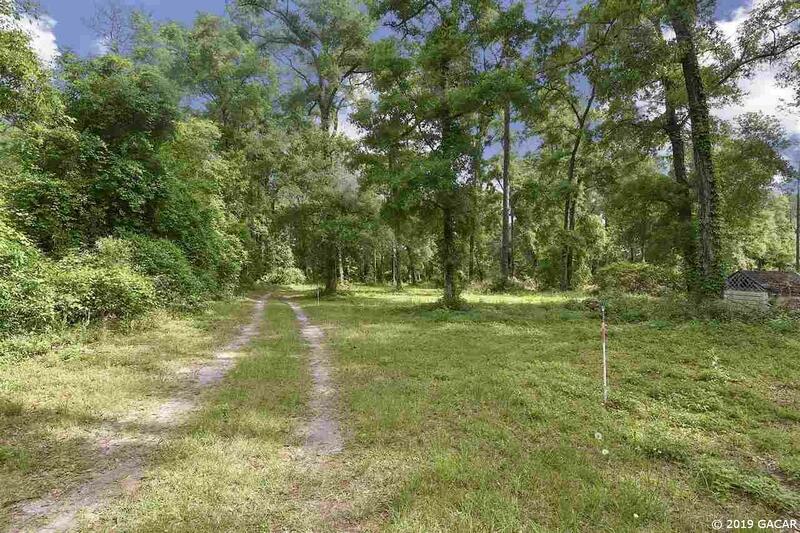 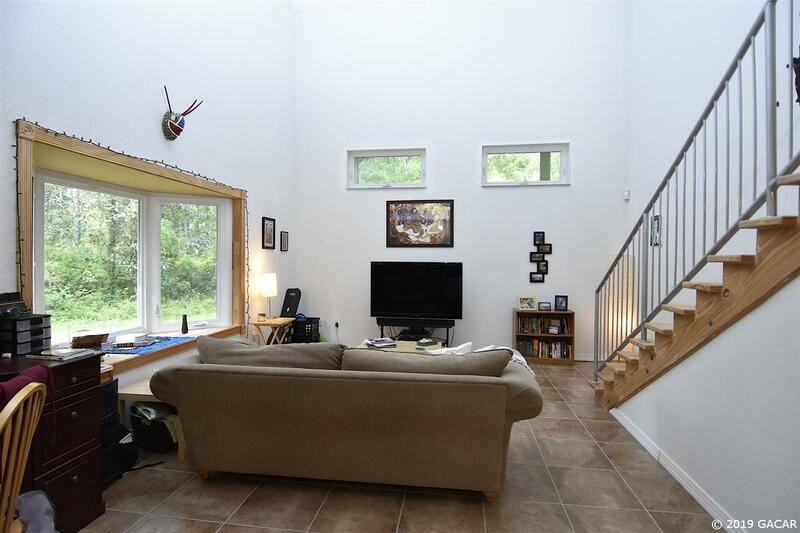 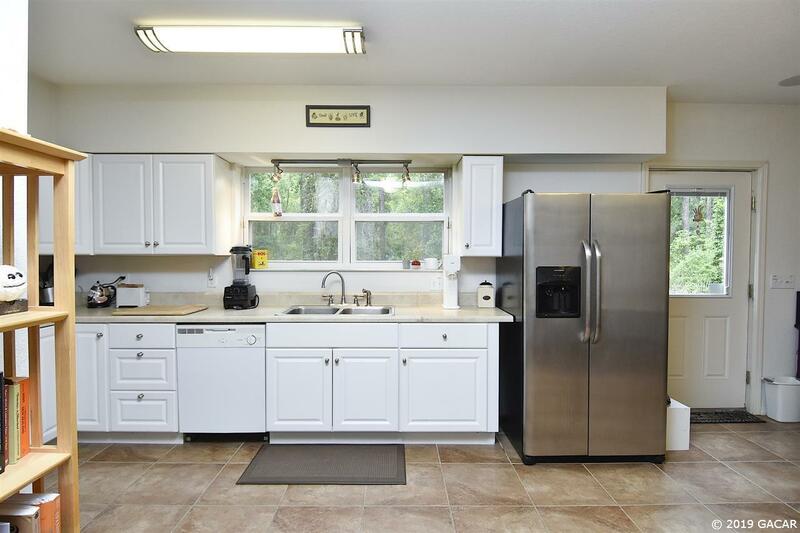 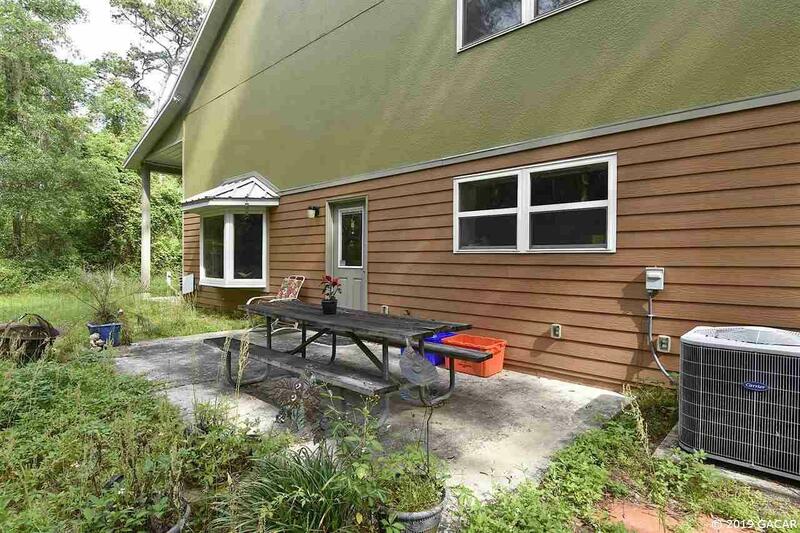 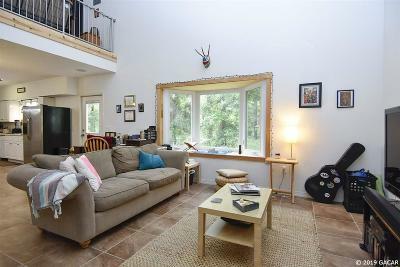 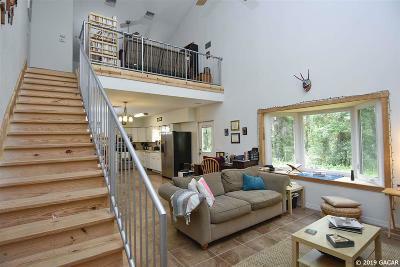 This home & property are spectacular and secluded on 4.29 wooded acres in sought after SW Gainesville off of Parker Rd. 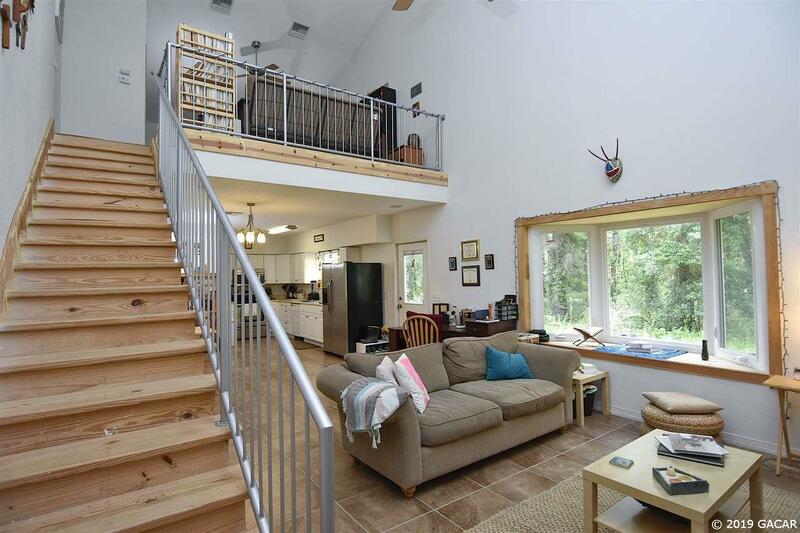 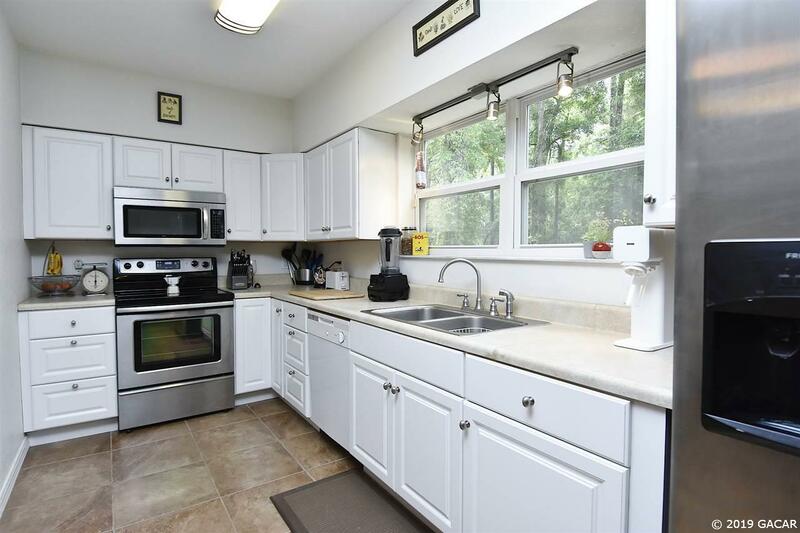 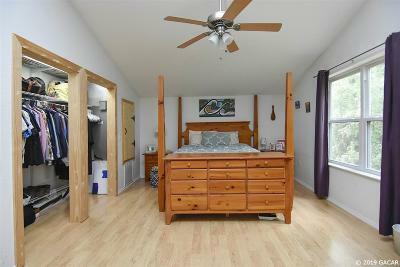 Home is a 1 bedroom 1 bath with a view from every window with covered porches so you can watch the abundant wildlife. 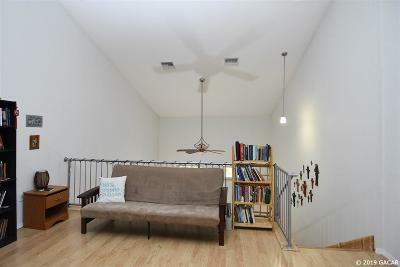 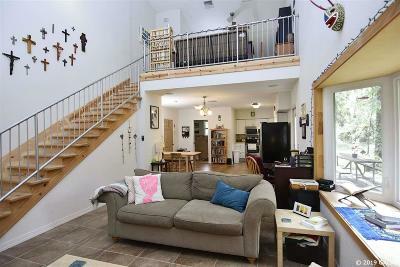 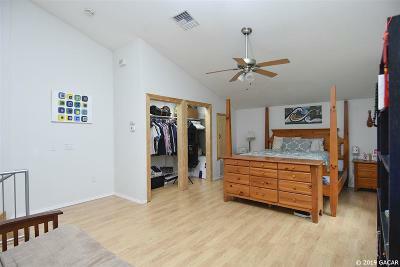 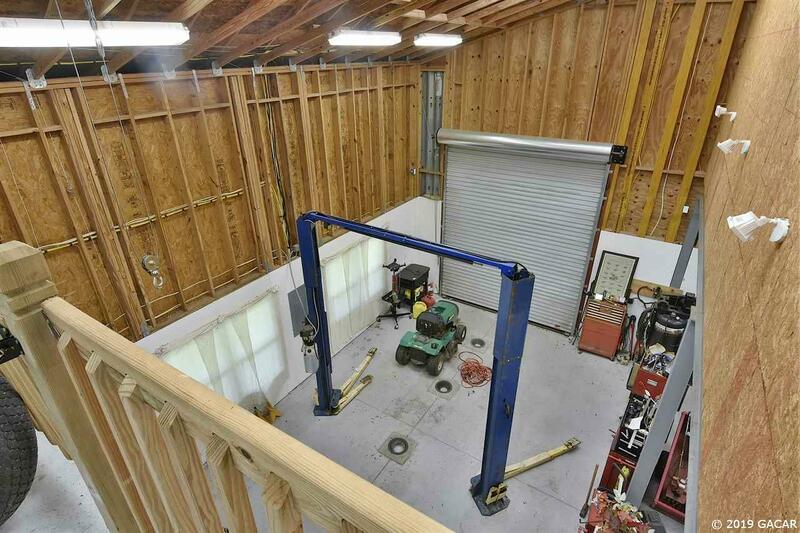 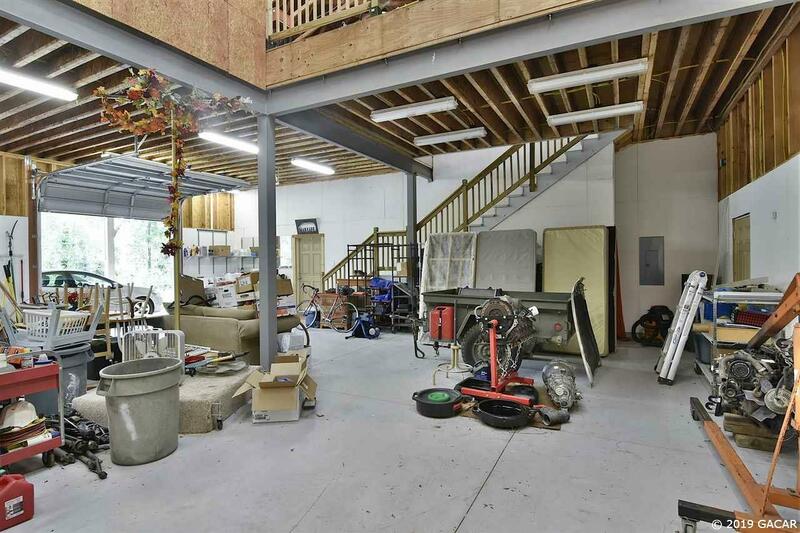 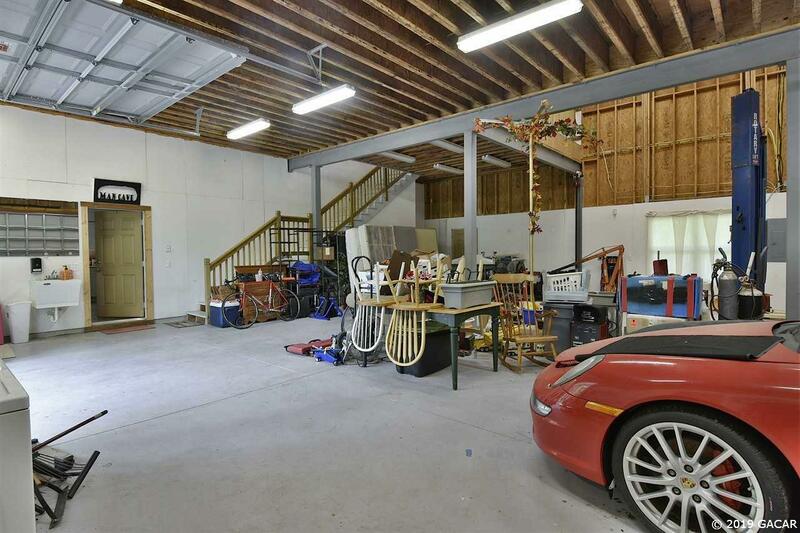 The garage is 1760 sq ft of storage/garage area, and 1190 sq ft of attic storage, and the home is 960 H/C sq ft. 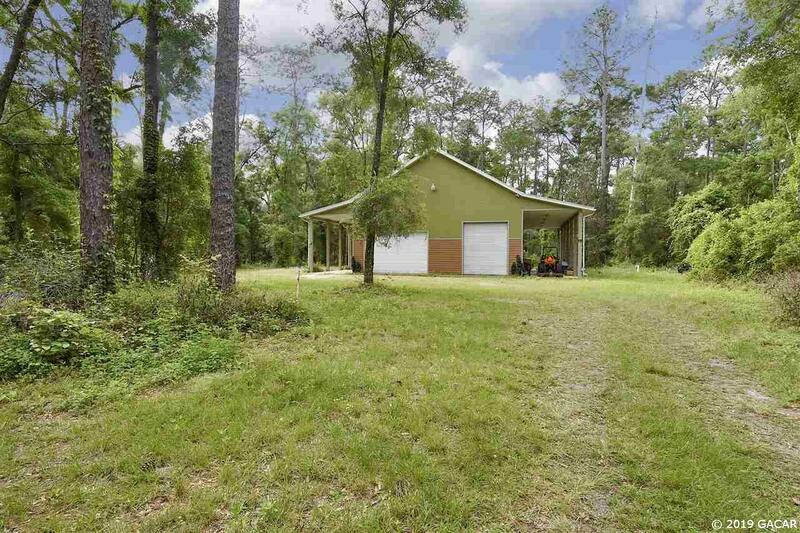 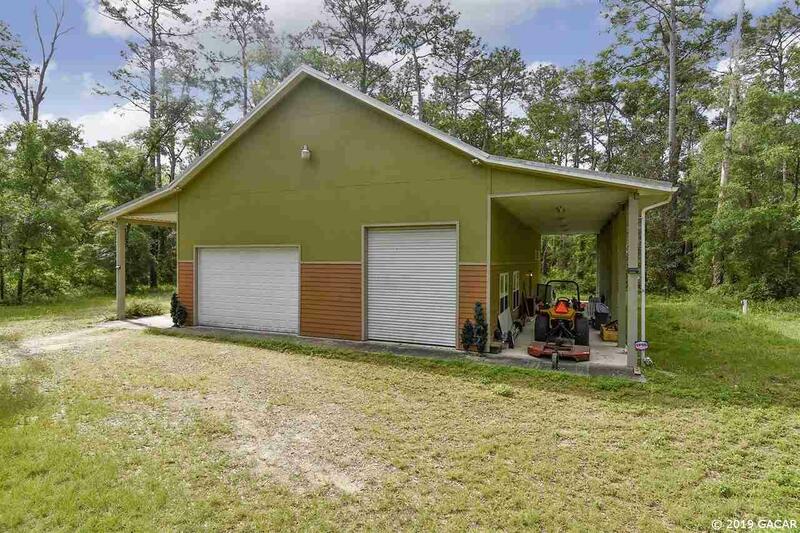 This is the perfect property if you love to tinker or travel a lot as it has a hook up for your RV and there is not a lot to take care of while you&apos;re away. 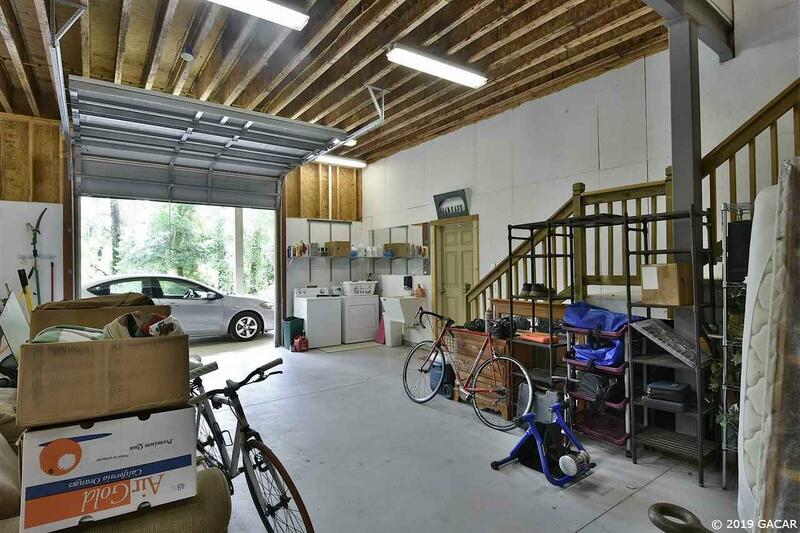 3 garage doors and the hook up for your RV has electric & dump station. 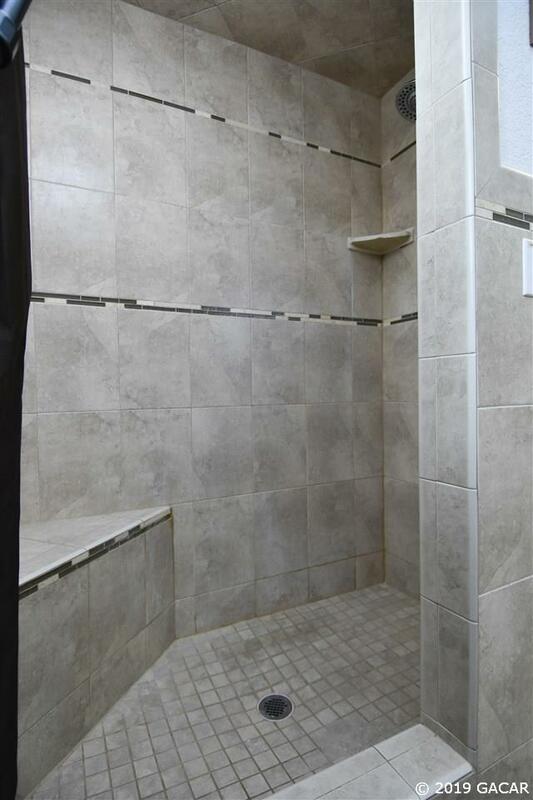 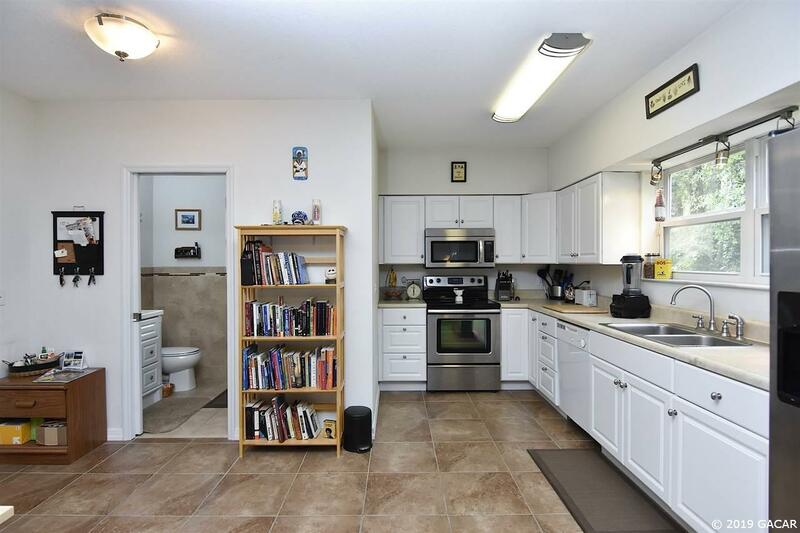 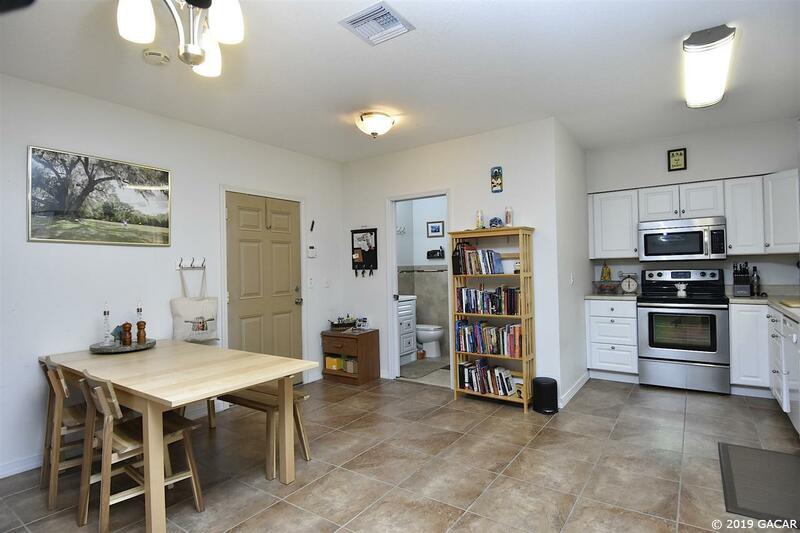 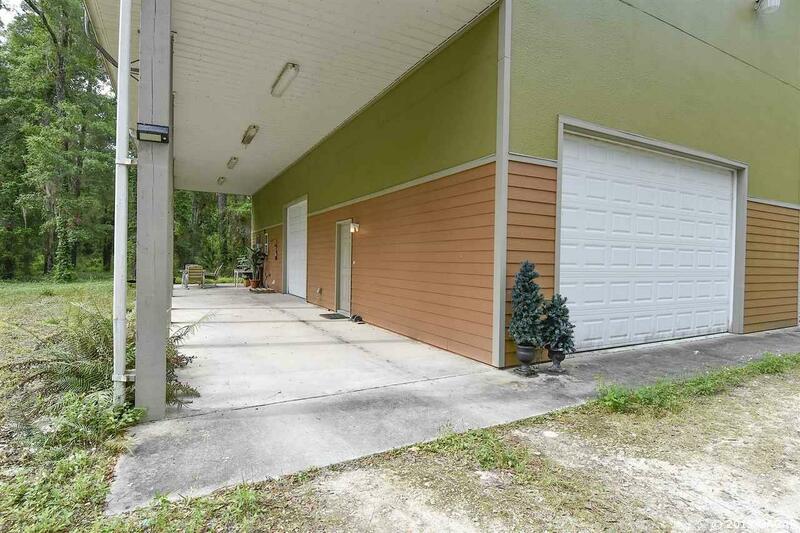 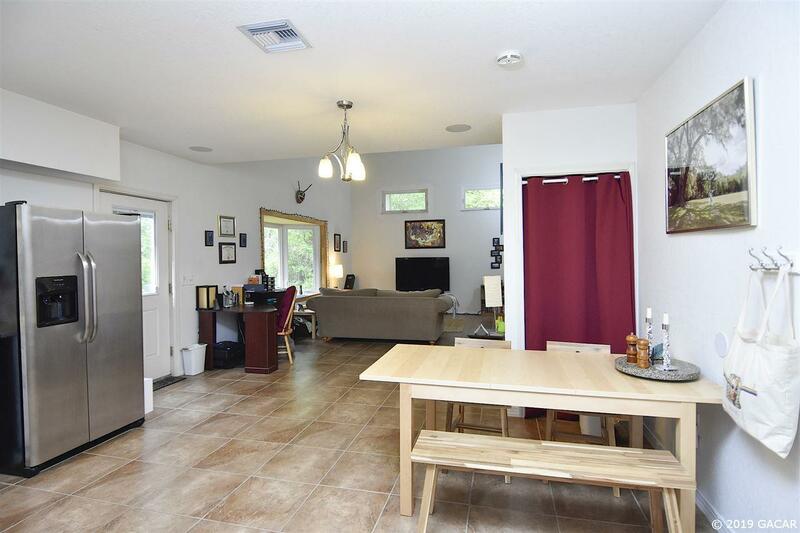 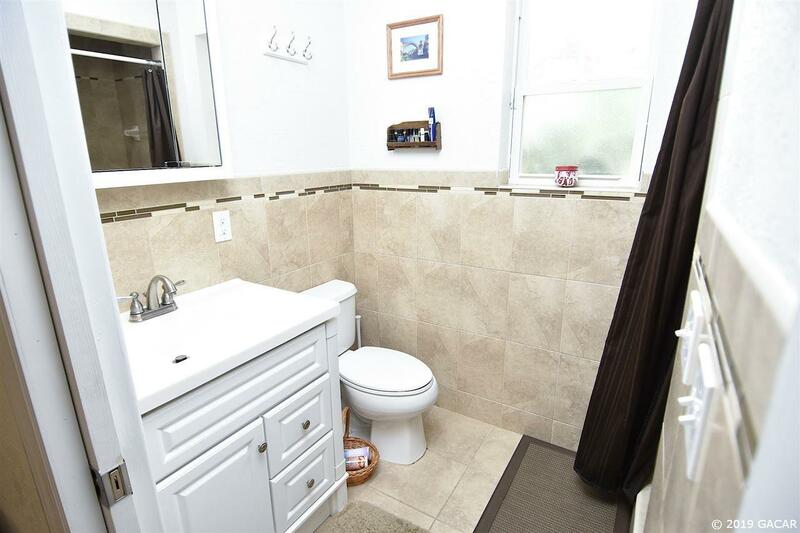 Fabulous place to build your personal home and use the garage apartment as a rental possibly or live in the 1/1 while you build your dream home. 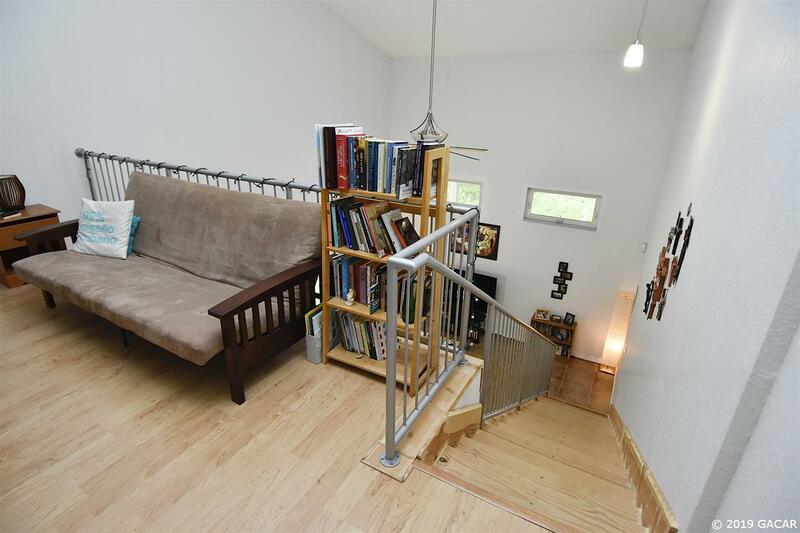 So many possibilities here. 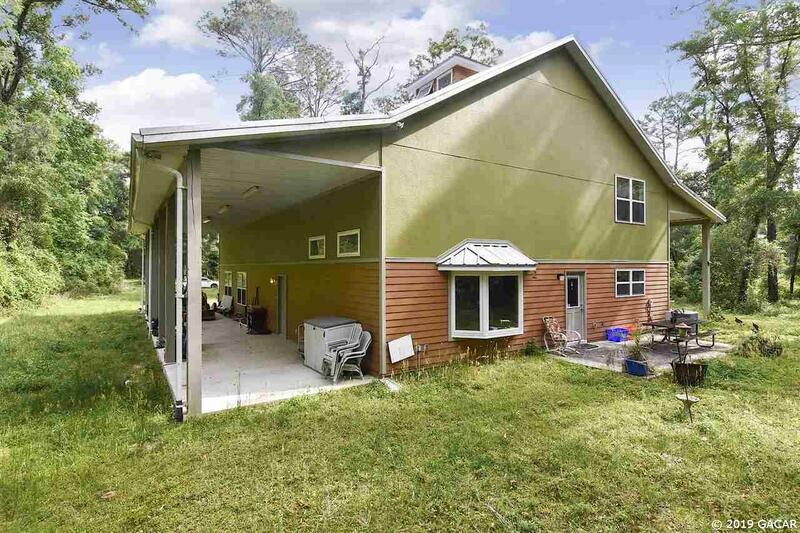 This property is just a few houses down from million dollar properties. 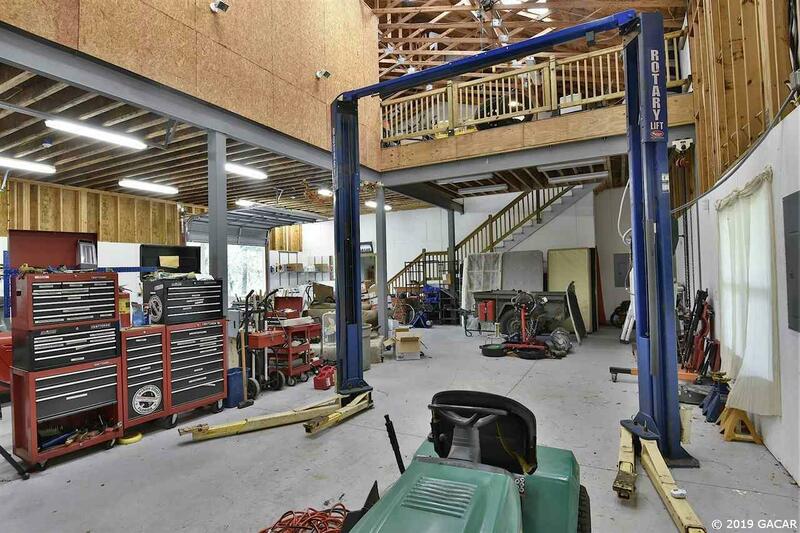 Garage is complete with 9,000 pound electric vehicle lift with built in flood lights with a 12 foot roll up garage door, two ten foot conventional garage doors & Ceiling mounted chain hoist and cargo lift. 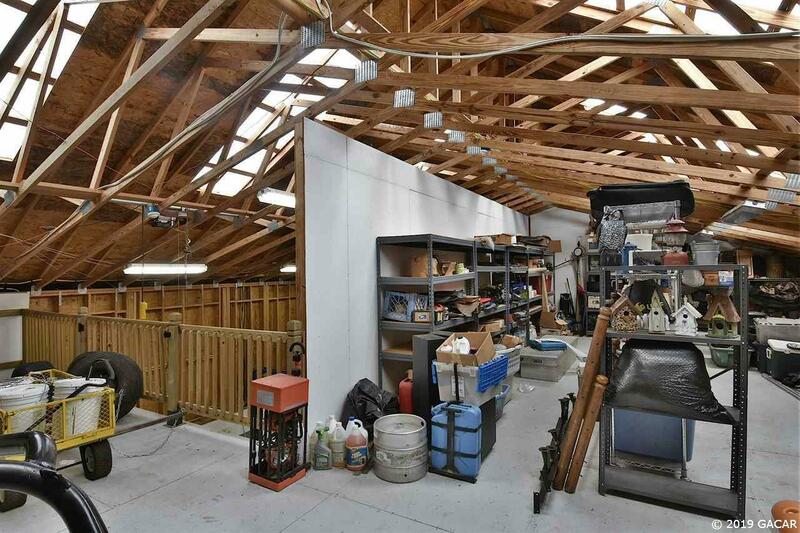 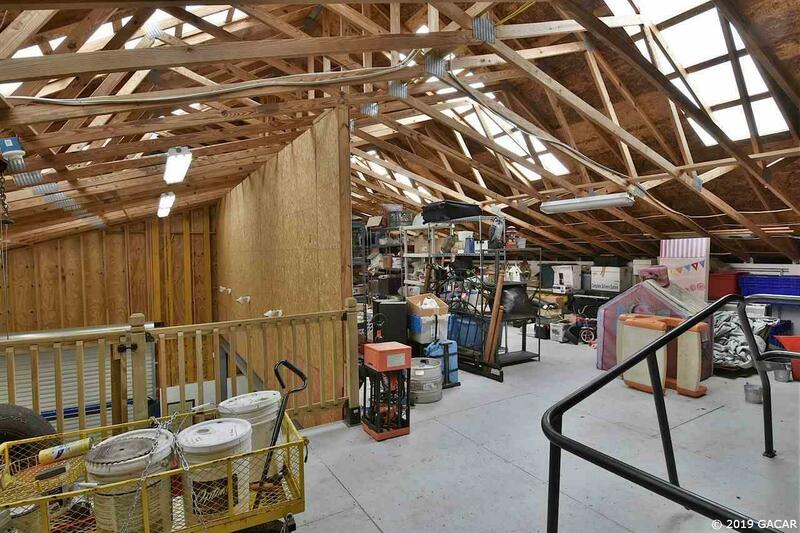 Thoughtfully wired for 220 Volt tools and welder, and corner fans, Upstairs mezzanine storage built wi 10â on-center floor joists, Carports are 13 foot tall, cupola, skylighs, outdoor shower close to W/D area.